Property owners throughout the area depend on us to help achieve their investment goals. Orange Coast Property Management specializes in the professional leasing and management of income property, single family homes, condos, luxury estates and also provides the added advantages of real estate sales and buyer representation. We are affiliated with the # 1 independent real estate company in Southern California-First Team Real Estate. The knowledgeable staff of Orange Coast Property Management empowers owners with the ability to focus on life and family. We pride ourselves on the basis of creating the ideal living environment for the occupants of the properties in our care. Our management objective focuses on increasing owner cash flow and increasing the overall value of the portfolios we manage. Our goals for you are two-fold; We want you to stay wealthy AND enjoy your ownership. We're accessible and stand ready to help any way we can. We would welcome the opportunity to earn your trust and deliver you the best service in the industry. At Orange Coast Property Management we are committed to serving our clients above and beyond their expectations! 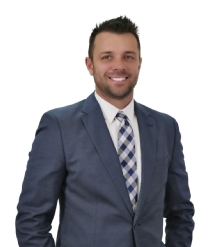 As a real estate expert in Orange County and surrounding areas, Justin will provided you with helpful insights about the real estate market, and can show you why Orange County living is truly something to be desired. He is a proven performer with a consistent track record in building relationships, developing new business and generating home owner and tenant loyalty. He will take the stress out of the landlord process so you can enjoy the rental income from your investment property, or have the confidence of maximizing your sale.